THE MODERN MOM HAS MOVED! THE MODERN MOM HAS MOVED!! My Grandmother started off as a city girl in Saskatchewan, coming east to work where she met my Grandfather. They married, bought a farm and had eight children. My Grandfather worked out so my Grandmother took care of the farm and the house, all the while toting around babies. They had dairy cows, therefore, my Grandmother milked the cows by hand and separated the cream. She sold some of the cream and the rest was used in cooking and baking. She also churned butter. This farm provided food: meat, fresh vegetables and dairy. Grandma baked the bread and biscuits. I still have a hard time grasping how she managed while having eight children. In honor of this beautiful lady I would like to share a favorite recipe with you that she used and I have used. She always told me that people raved about her biscuits so I used her recipe and I have had compliments galore. Enjoy! Combine until butter and flour look like oatmeal. Combine until dough forms al ball. Pat out or roll on a floured surface to an inch thick. You may add a little flour to top of dough if sticky but don't make it dry. Using a floured glass rim cut biscuits out and place onto a non oiled pan. Bake at 350 for aproximately 25 minutes or golden brown. 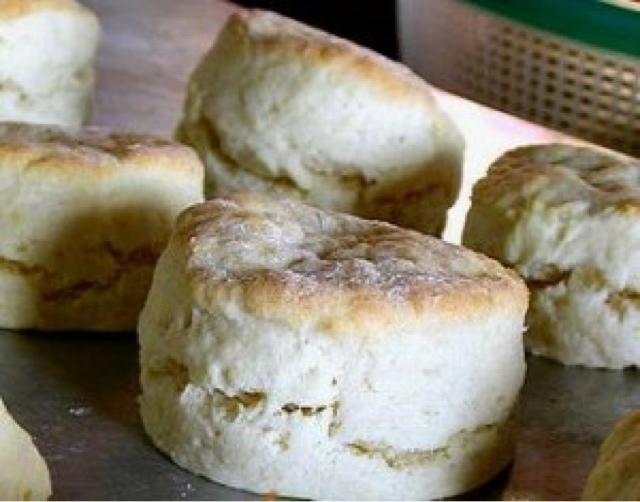 These biscuits are so delicious and rich you don't need to butter them. Go and Seize the Summer! Can you believe that we are almost at the end of July? Summer is short and before long we will be getting the kids ready to go back to school. Still looking to take that summer vacation? This could be the perfect time for you. Travelocity wants to give you $500 to Go and Seize the Summer. Let's face it, we are all busy moms! Whether you're the stay at home mom, who runs after the kids all day, trying to keep the house livable and playing taxi with your mom mobile. Or you're the mom who works outside the home and finishes up at work only to have to pick the kids up at daycare, make dinner, do homework and well you get my drift. Each way of life brings its benefits and challenges, but something that both have in common is having time to serve easy, fast and healthy meals to our family. Sobeys Taste of Summer Twitter Party! Oh the lazy days of summer...sunshine, warm breeze and the smell of barbecue! Nothing is more mouth watering than the aroma of burgers or steaks on the barbecue. Pair it off with a garden salad made with fresh crisp veggies and an ice cold drink. Food is one of the best parts of summer. Make it even better by joining the #LoveSobeys Twitter Party on Tuesday July 30, 2013 from 9:00 p.m. until 10:00 p.m. EST. I have to admit, I am addicted to Tim Hortons coffee! Every morning I stop in and grab my fix. I tried the Tim Hortons latte and bam! Now it's my favorite morning pick me up. I love the rich flavor, foamy top with a little cocoa sprinkle. It just makes my morning I've been known to stop in through out my day! Heading out for coffee with a friend. I hit the drive thru and grab coffee for us. Of course I don't want to put her through making coffee when it's so handy at Tim Hortons. If you'd like to win a free $25 Tim Hortons gift card and enjoy your own addiction, enter bellow! My name is Dawn and I am a modern mom. My days are filled with a little chaos, a little girl and a LOT of love!